This Currency trading fundamental analysis article will explain that Foreign exchange currency forecasting involves the prediction of present and future market trends by making use of all available data and facts. Knowledge in forex forecasting can mean the difference trading profitable and losing large amounts of currency. Step one in being successful on the foreign exchange market is becoming efficient in forecasting of foreign exchange currency. Strategies have been adopted over the years to aid traders in Forex forecasting. Directions of the economy, stock markets and individual commodities are predicted by using technical and fundamental statistics. These form the core of the technical analysis method and the fundamental analysis method. 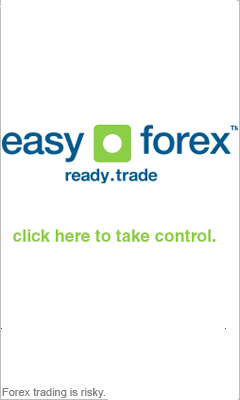 This method of Forex forecasting relies on the evaluation of charts and graphs of previous Forex market occurrences. Major events on the Forex market is recorded and analyzed to provide a guideline of trends and aid in future developments. Technical analysis consists of three proved principles to aid in projections. These three principles revolve around the Forex market variations in relation to past Forex trends, trends in price movements and current Forex market trends. Forex records regarding to previous trades and phenomena is analyzed. Chart patterns of Forex movements have been recorded and filed for over 100 years. Recorded charts and statistics are analyzed. Only well experienced Forex traders can analyze these charts and graphs to give insight into future Forex forecast. Trends in price movement look at the patterns in market variations that influence the Forex market. These patterns are consistently repeating over a period of time and therefore can be used in Forex forecasting. Current Forex market action is also added into the equation. Current political events, current demand and supply events and market action are analyzed. This strategy is based on the assumption that the current Forex market prices are directly proportional to the current market events. From the above it is clear that the Technical analysis method is only concerned with what HAS happened in Forex, rather than focusing on what should have happened? This strategy is used for Forex forecasting based on events that have not taken place yet. This method analyses future political events and changes, changes in the environment and forecasting of natural disasters. The impact of these events will have on future supply and demand, price movement and market events are investigated. In conclusion we can see that both methods of forecasting Forex have the same goal – to forecast price movement. The technical analysis method allows experienced traders to analyze many markets and market indicators simultaneously with the aid of recorded data. The fundamental analysis method only allows the analysis of one particular market.